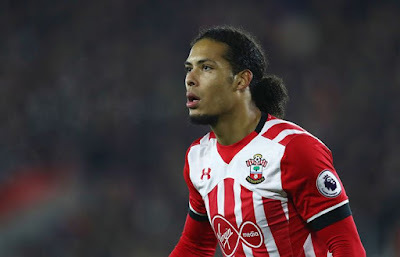 Virgil Van Dijk is reportedly ready to force Southampton’s hand by pushing for a move to Anfield this Summer, snubbing the likes of Chelsea and Manchester City in the process. The ambitious Dutch defender has his sights set firmly on a transfer move to Anfield despite the Reds being reprimanded by the Premier League earlier in the Summer for tapping up the defender. If Van Dijk formally submits a transfer request at St Mary's then Southampton will have little option other than accept a bid upwards of £50 million for the cultured Dutch defender. Van Dijk is a classy centre-back who moved from Celtic to Southampton last Season after a poor European experience by the Hoops in which they were knocked out of the Champions League and then the Europa League by average opponents. So the Dutchman craves success and is prepared to move around to achieve it. Let us hope he finds it with Liverpool FC.